Stock Low : 1,004 items left. This is a large item that has an additional large item delivery charge of up to $9.90 per item and cannot be delivered to post office boxes. Please see Delivery & Returns tab below for details. 100% cotton outer. 500gsm polyester fill. Ensure your best nights rest for yourself and your family with the technologically advanced Extreme Fibre Duvet Inner, a must have for irritable sleepers and those with sensitive skin. 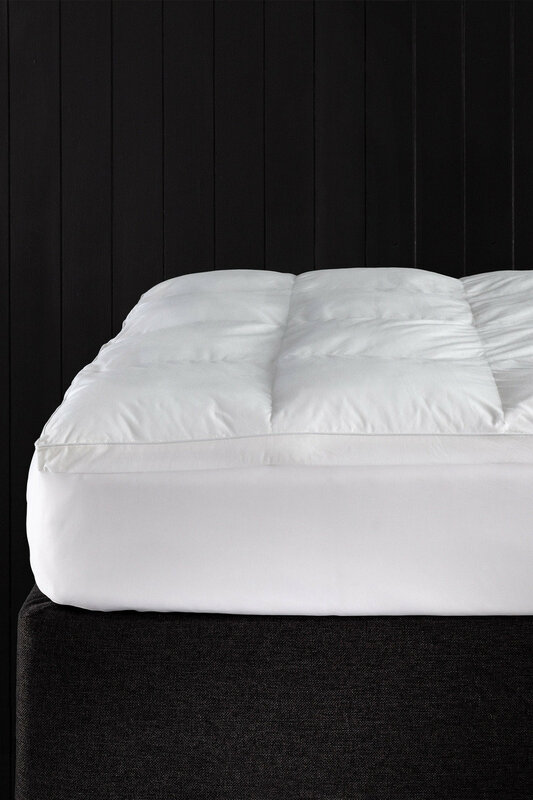 Crafted with a cotton outer and soft down like polyester fill, this quilted mattress topper features high loft fibres for the ultimate luxury feel and is hypoallergenic - making it great for young ones and those with any form of skin irritation. Incredibly lightweight but oh so cosy, this mattress topper will keep you warm in even the coolest climates, provides a lush layer and is super easy to keep clean - plus it pairs perfectly with the Extreme Duvet Inner, Extreme Fibre Pillow and Extreme Fibre Euro Pillow. Finished with a treatment of Ultra-Fresh for added cleanliness and freshness and to create a longer life for your bedding, you can rest easy knowing you and your family are well looked after with the Extreme Mattress Topper.